What’s A Card On Valentine’s Day! He’s Gay!! One of the questions posed by one of the loyal listeners of Straight Wives Radio Show was what does healthy heterosexual relating look like. It is sad when a straight woman has to ask that question. Nonetheless, many Straight Wives don’t know. Last night’s show only confirmed it. Straight Wives have a song rarely heard. These women, though married, will never be able to experience in their gay marriages what they long for the most: genuine romantic love. That’s why even if a gay husband gives his straight wife a card, candy or flowers on Valentine’s Day, it doesn’t change the fact that he’ll never love her the way she deserves. 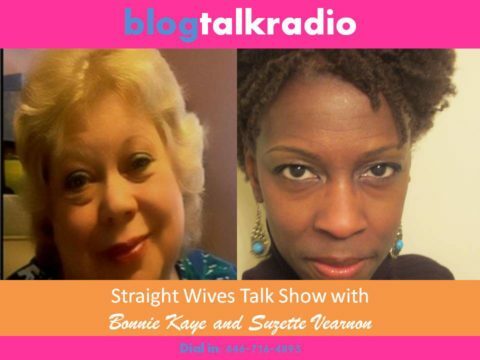 On last night’s, Straight Wives Radio Show, I encouraged straight wives to take things into their own hands. To enter themselves in the “Celebrate A Single Sweetheart” drawing. By doing so, it was symbolic that they aren’t waiting for anyone to celebrate them. They’d do it themselves. So what’s the answer to the question? What does healthy heterosexual love look like? I felt the best answer was what was unhealthy. If you don’t feel safe in your sexual skin with your husband, it is unhealthy. And please know that your desire for sexual intimacy does not make you a nymphomaniac. That’s what my gay ex use to accuse me of being. It simply is not true. Moreso, it doesn’t matter how he justifies it. The point remains that you aren’t getting your need met. If you have to minimize, explain, make excuses for, suppress your sexuality, the relationship is not healthy for you. Join us every 1st Sunday at 9:00pm EST.